Here at Salons Direct we love connecting with the movers and shakers of the salon industry. 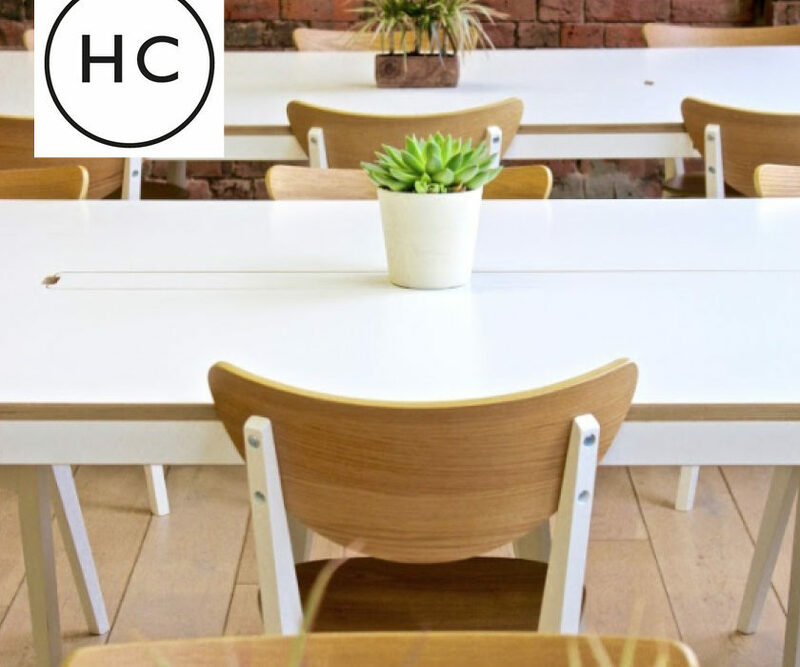 Today’s spotlight takes a slightly different turn from our usual salon and brand focuses as we talk to Lacey Hunter-Felton of The Hunter Collective – a co-working, studio and networking space for hair and beauty professionals to work from. How did Hunter Collective begin? Growing up in salons from the age of 16 was incredible. I was in love with the salon culture, friendly people and feeling independent from a young age. As I moved through the ranks of the salon and became more experienced, I saw many new ways I could grow my career. I was also coming to an age where having a baby was on the cards and I wanted to create some options for myself. Working full time on the shop floor is thrilling but also limited if session work/teaching or having a family are factors in your every day. Hunter Collective was created to give me and others like me more choices. Now I can look after my clients, spend time with my child and follow my passion for teaching and session work all within the friendly atmosphere of a salon environment. The independence of freelance is great but scary, and I enjoy working with other creatives around me and I have so much to learn. Hunter Collective gives me the confidence to work with amazing people, on my own terms in a totally flexible and diverse way. Tell us more about how Hunter Collective works? It’s essentially a membership club, so you come and check the space out, maybe try it for a day with some clients and meet the team and if everyone is happy then we sign you up to a rolling one-month membership. That gets you access to the space, a totally customisable online booking platform, the hot desk area with wifi and printer and the opportunity to network with your peers and brands that you love in a unique location. 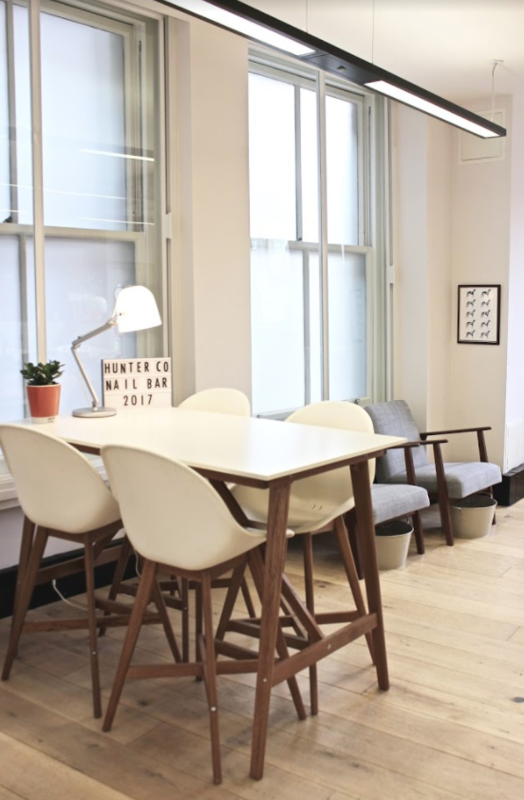 Then you just pay for styling chairs (which recline flat) nail bar or the meeting room/shoot space as you need them to work on your clients. Why do you think industry professionals should get involved with the Hunter Collective concept? 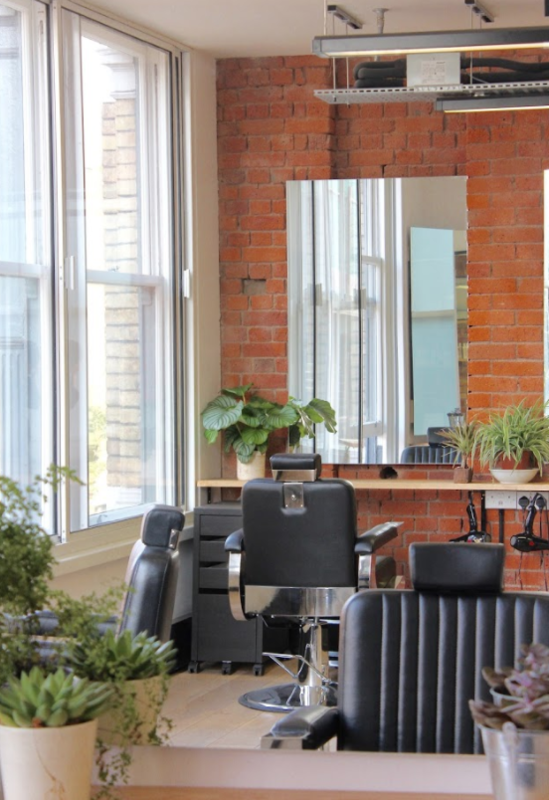 We aim to be the perfect location for freelancers in the beauty industry. Maybe they want the flexibility to work on private clients in-between session work, or want to run masterclasses and stream live on Instagram, get back into work after having a baby or just have somewhere to work three days a week on a full column. We offer all that as well as access to our community which makes the days a lot less lonely as well as the chance to grow your business around other ambitious professionals. How important do you think networking is within the salon industry? Even in the best salons, it is easy to forget that there is a whole world of talent around you and it often you’re so busy you don’t have the time to see your peers working even if they are right next to you. We want to be a location where you will be giving your client amazing service but you also get to see someone who is a curl expert or a specialist in Afro hair or barbering. You get the chance to interact, maybe take a class with them at HC and generally expand your network. That leads to collaborations, interesting job opportunities and an industry that is better connected and sharing the best techniques and products organically. How do you see the way we work within the salon industry evolving over time? There is no question that salons remain the best way to learn your trade, whatever that is. Access to clients, training, product knowledge and the support of your team are essential. Where we see HC fitting in is offering people who want to move on, a new home. There are a lot of talented professionals who essentially disappear from the industry when they leave the salon and we don’t think that has to be the case. We hope that HC fills that gap. 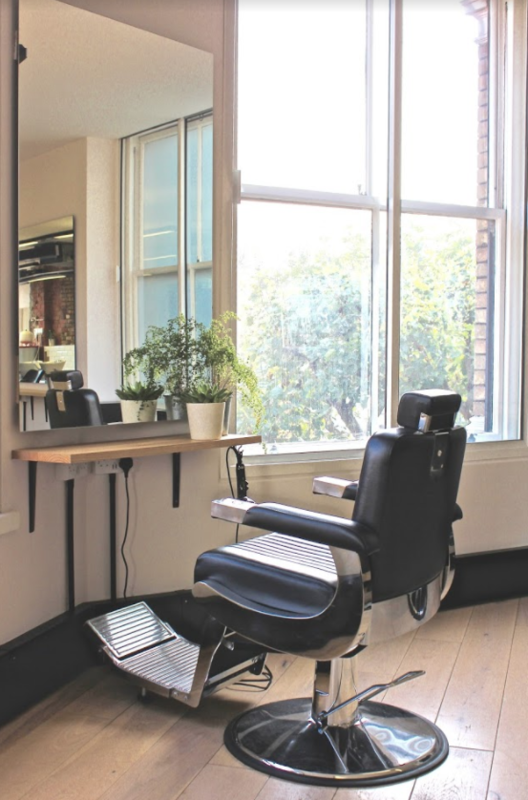 How do you think your London location helps stylists? There is nowhere else in Central London offering the range of services that we do at an affordable rate. We want to be the place you go to work on your clients but then stay to update your Instagram or work on your website. Freelancers in tech or almost any other industry take these facilities for granted, so it’s about time they were made available to our members. You can get deliveries sent here, store your kit and generally use HC to make your life easier. What advice would you give to somebody thinking about starting their own salon/business? I’d say do your research, work out all the costs, talk to someone who has done it to find out about all the boring but essential things like fire regulation and waste collection. If you can get the day to day admin down to a reasonable level then it makes it easier to concentrate on the fun parts, like growing the business every day. 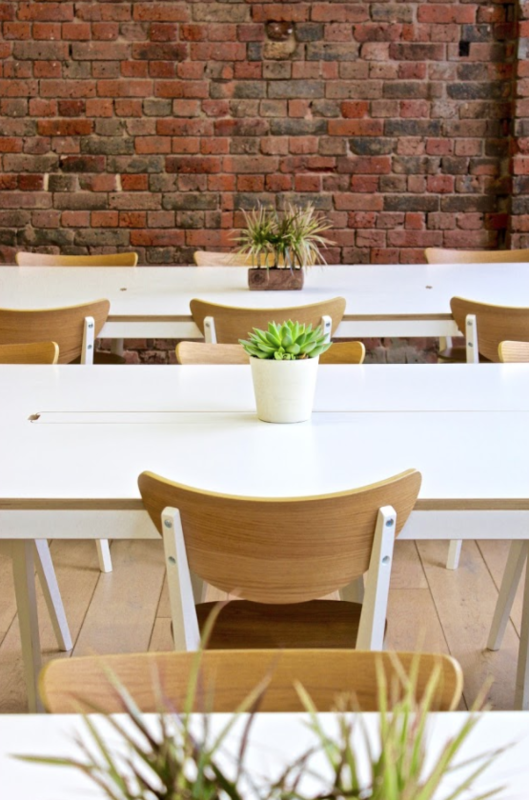 How do you see the future of co-working evolving? We recognise that our members value flexibility incredibly highly, which is why we are working closely with the major beauty apps who are integrating technology into the industry for the first time. We know that our members might want to work a couple of days at HC but then do more ad-hoc work around their home a couple of days a week. The same goes for mothers returning to work. We hope that our flexibility lets them work around their childcare and keep their careers going. I think it is all about putting power back in the hands of the professionals and giving them the tools to succeed. HC is one of those tools. What can we expect to see from you throughout 2017 and beyond? We’re working with independent brands we love on events and education, working with members to create masterclasses and seminars. We plan to expand our practical areas, with more room for private client treatments to open our doors to masseurs and waxing. Yoga and monthly meetups are coming soon. We want HC to become the home of the freelancer in beauty, no matter what your practice. We’re planning on opening globally and hope to take our members along for the ride.